One way to notify users is to use Toasts. But Toasts have the problem that they might pop up in totally unrelated contexts. They are displayed for a defined duration on the screen no matter what the user does. The user might even have changed the app, with the result, that your Toast simply confuses the user. But we can use an external library to make a customize Toast messages. 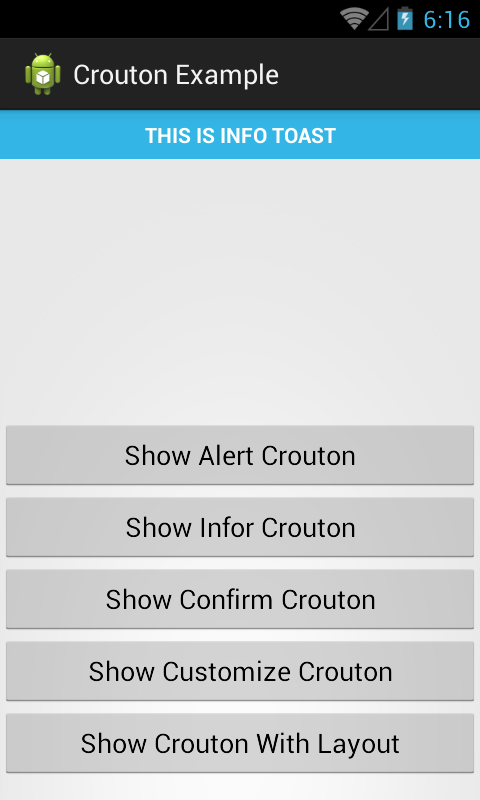 In this post, I'll present the way how to implements Crouton library, it can make your messages become more flexible. 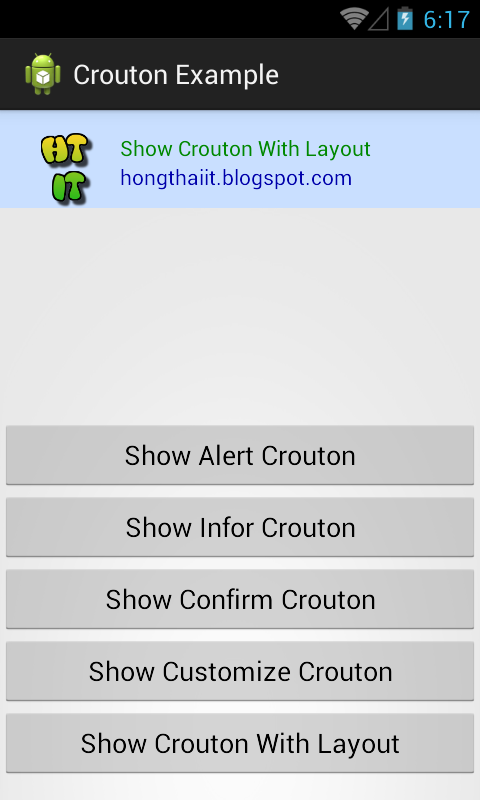 - Download Crouton at it's Github page. Crouton is being built using gradle. This means that the source directories are different to the default Eclipse source paths, so we must fix it by following these steps. - Unzipped the file and copied out the library folder. 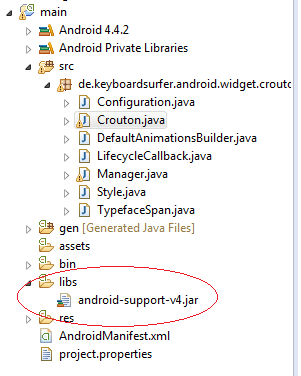 - Open eclipse and import the library into the workspace (The name changes to "main"). - Clean project, now errors in our library have disappeared. Note: Okey, by other way, you can download lastest version of Crouton jar file at Maven Center and put it in your libs folder of your project. So you can ignore all above steps. After done creating project, remember making preference between it and "main" project.